"The theme can be it a ninja theme. He seems to think of himself as a silent assasin (Ninja). 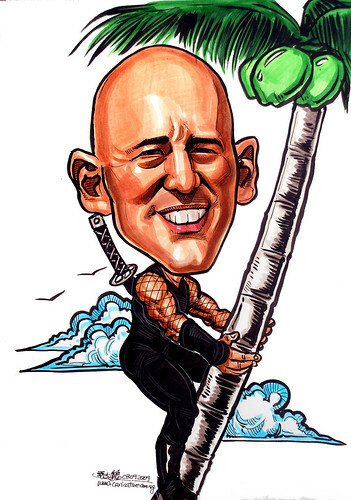 Maybe Ninja on top of coconut tree? Quite a small photo (low resolution) given by the client. Thank goodness it is not those faces more than 90% in the shade type of photo. Still can see the features in 3-dimesions. Overall, qute a nice face to draw. I will be enjoying more in my drawing, if the photo is larger in size.